Hand dexterity is critical to the normal range of motion needed in our hands to perform various daily activities. Hand muscles should be subject to strengthening via exercise like any other muscle in your body, as HandExercises.org suggests. By completing a few simple exercises on your own, however, you can maintain hand dexterity rather easily. Before attempting any new exercise treatment program, be sure to speak to a medical professional. One example of a hand exercise that you can complete for improved dexterity involves hand-eye coordination and finger flexibility. According to the Ohio State University Medical Center, this exercise begins by holding your hand in front of your chest with fingers stretched to full extension. Next, using only the muscles of that hand, flex your index finger towards your thumb, forming the letter “O.” Complete this movement with each finger touching your thumb, one at a time. You can increase your speed with this exercise in order to further benefit your coordination, and this exercise is simple enough to complete many times during the day. Grip is an important aspect of hand dexterity. As the Ohio State University Medical Center suggests, grip strength can be improved by grasping a tennis ball in your hand and squeezing your fingers around the ball. Hold this comfortable grip for five seconds before slowly and smoothly relaxing your hand muscles just enough to retain a hold on the tennis ball. Repeat this process four to five times daily with both hands for best results. Depending on your hand strength, other balls can be used in place of the tennis ball. 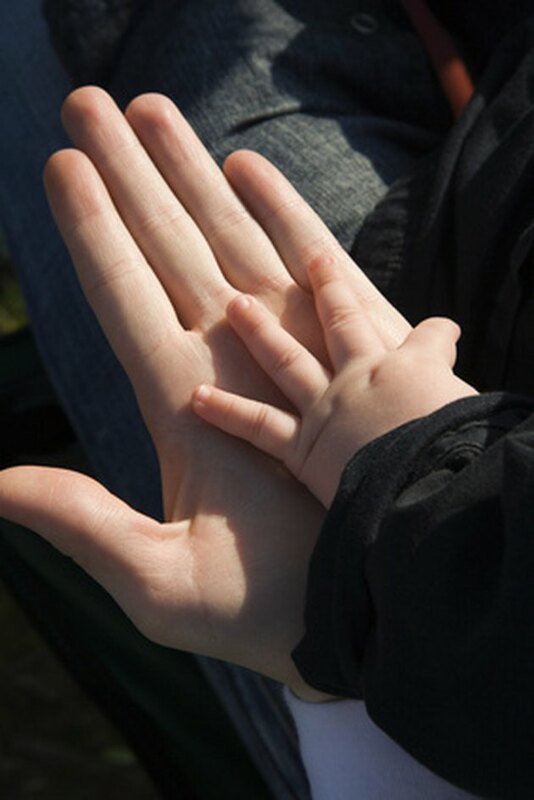 Your thumb allows you to grasp small objects and move your hand in fine, intricate movements. One thumb exercise involves holding your hand in front of you, with your fingers close together and your thumb out to the side of your hand. Next, using only your thumb, flex your thumb across the palm of your hand towards your little finger. Hold this stretch for five seconds before slowly returning to starting position. This exercise can be completed many times during the day for both hands. According to the Ohio State University Medical Center, another exercise that can be helpful in increasing hand dexterity involves flexing your fingers at each individual knuckle. Start this exercise by holding your hand in front of your chest with your palm facing you and your fingers together. Next, use your hand muscles to flex all fingers in one motion toward the ground. This motion should be slow and controlled, to focus on each individual knuckle. Once in full flexion, reverse the movement by slowly extending your fingers back to starting position. This exercise can be completed many times during the day, depending on your comfort level.